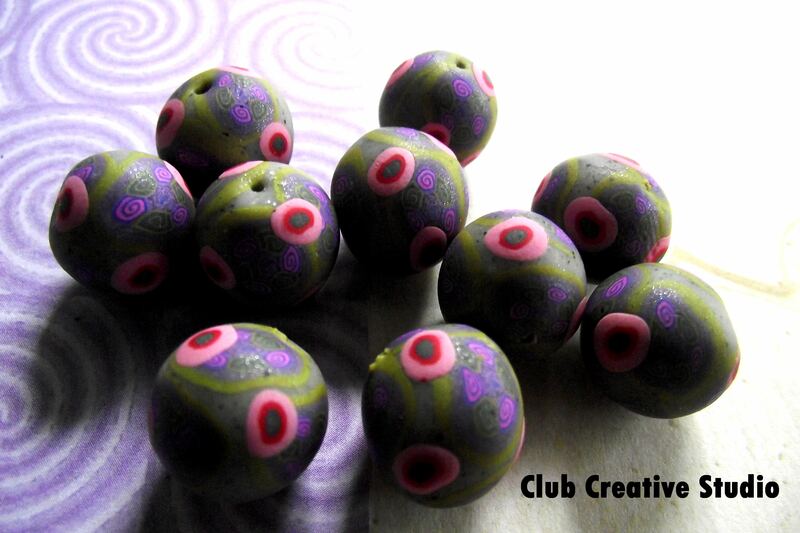 Collection of Club Creative Studio hand-rolled clay beads. 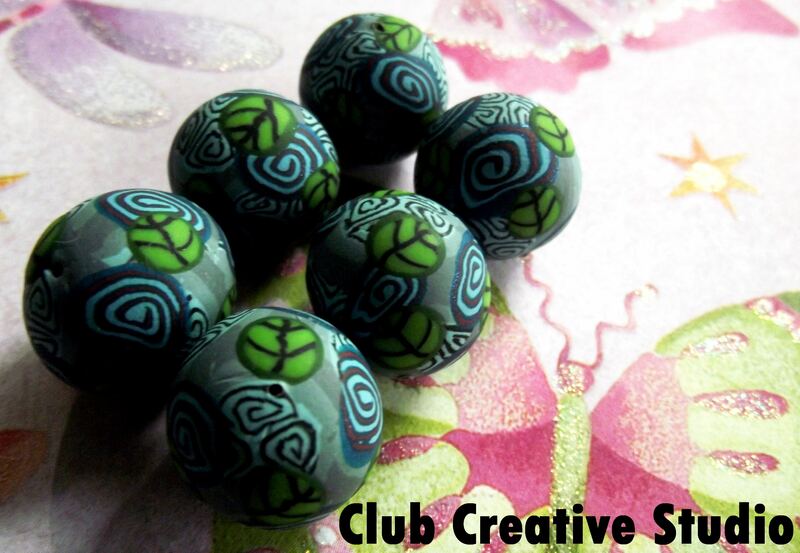 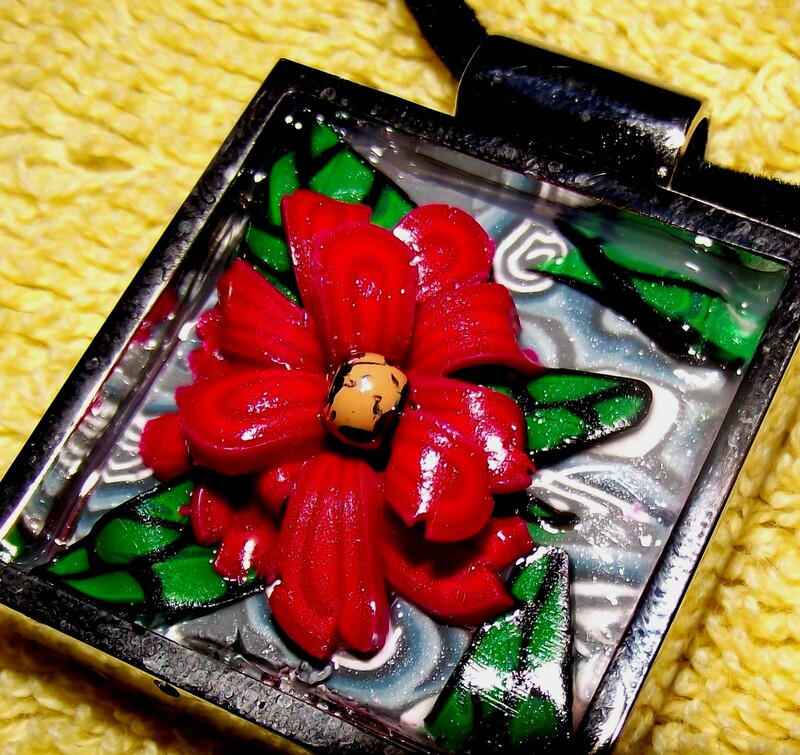 Club Creative Studio creates hand-rolled, polymer clay beads that are one-of-a-kind. 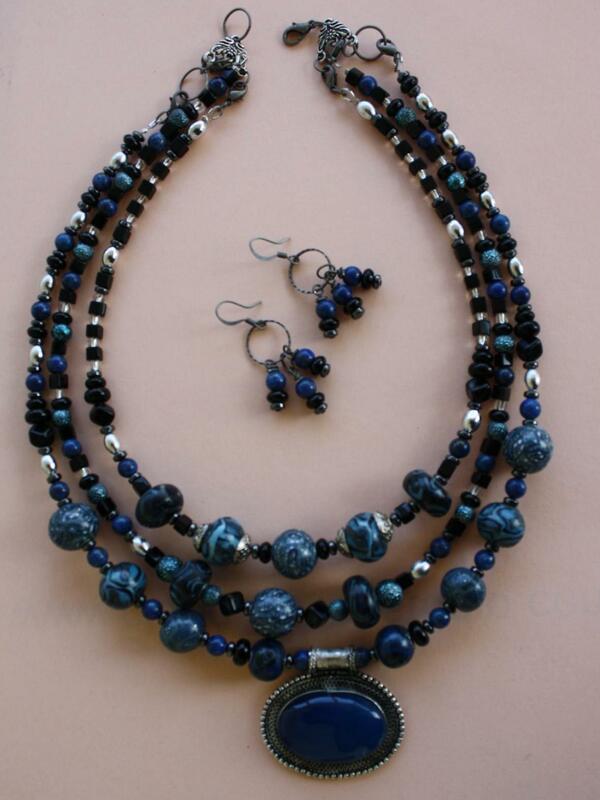 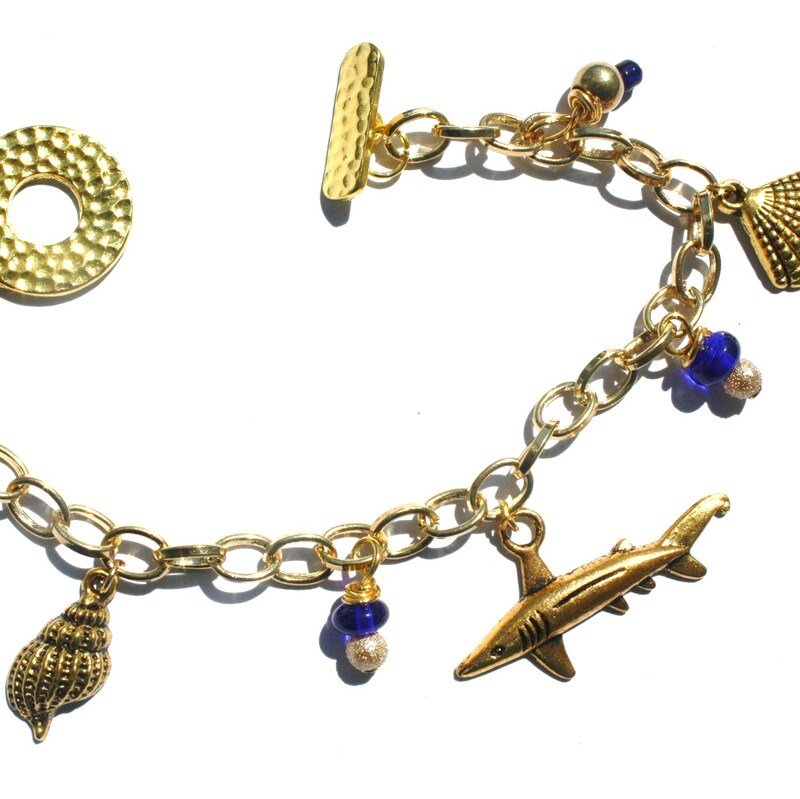 Each bead is created from thirteen separate steps to complete each individual final item. 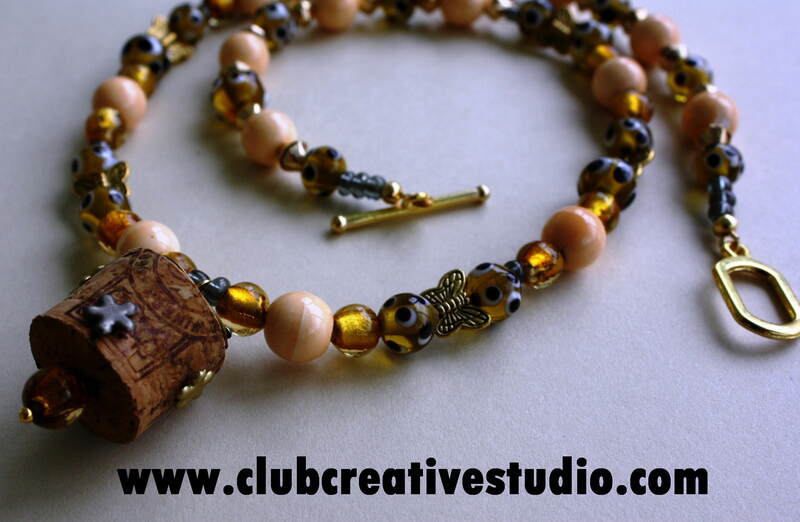 I also hand-slice the designs from canes or hand-rolled and layered logs created from the hand-conditioned clay. 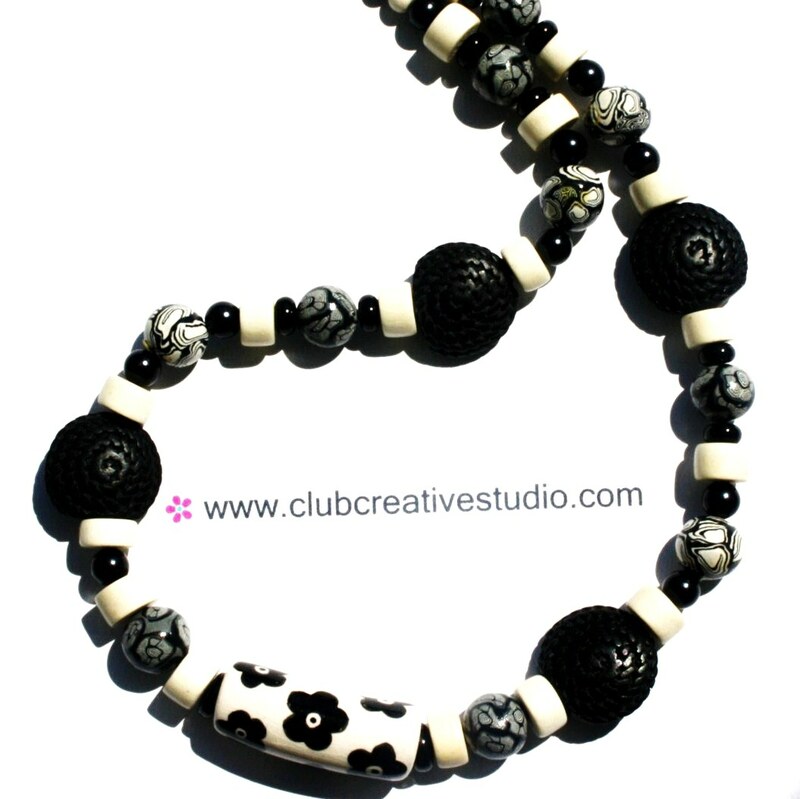 Each bead basically consists of layers upon layers of clay and each section is applied by hand. 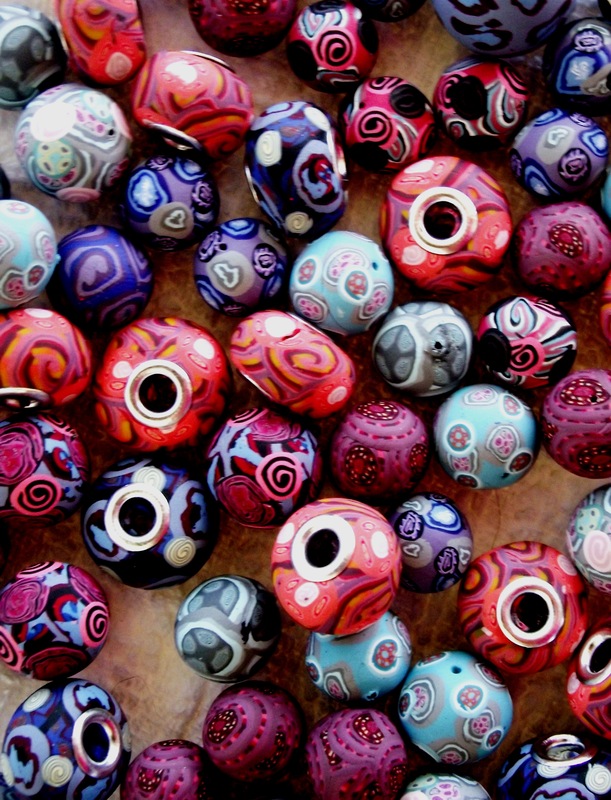 To make each bead even more unique, I limit the particular color and designs to no more than the count of fifteen beads total from the same cane. 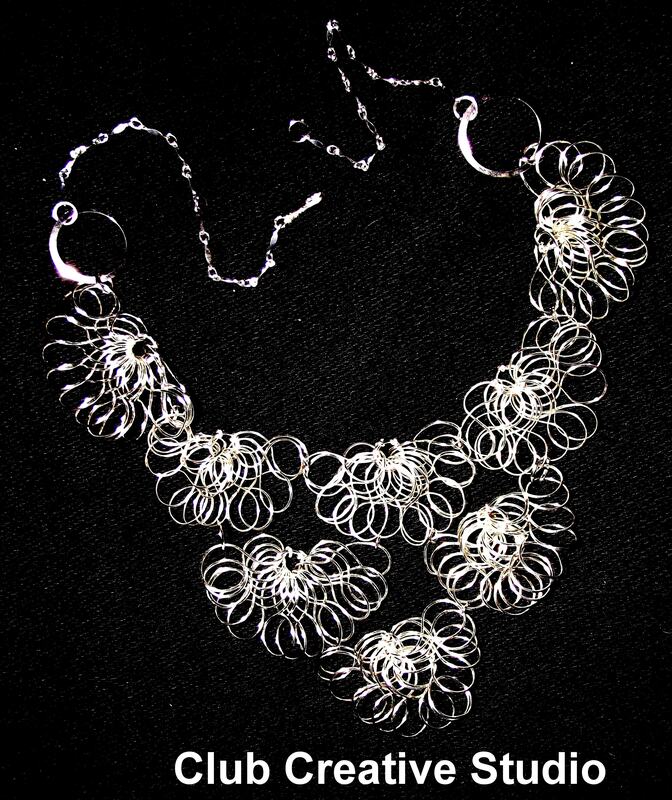 Many designs are made in a lesser count and all are not created again in the same manner once they are made into a batch. 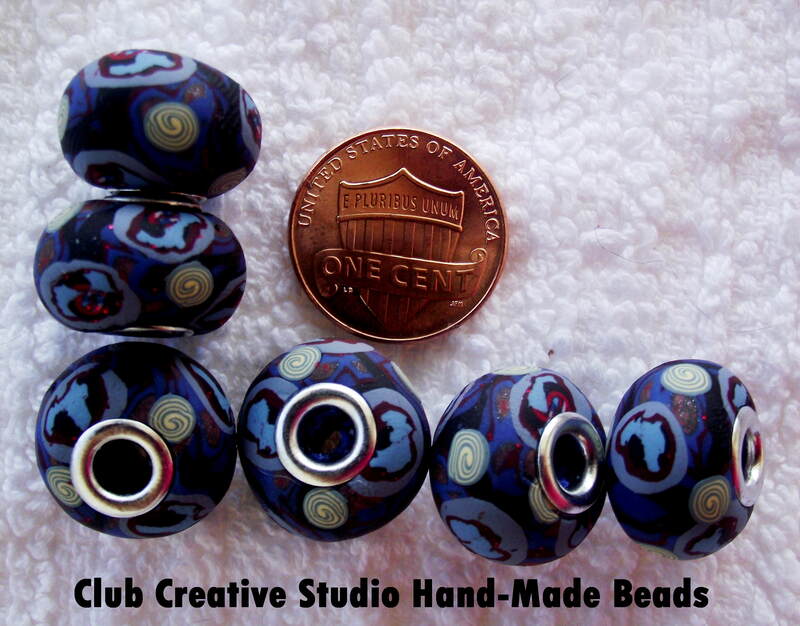 The penny coin shows the size comparison of these smaller beads. 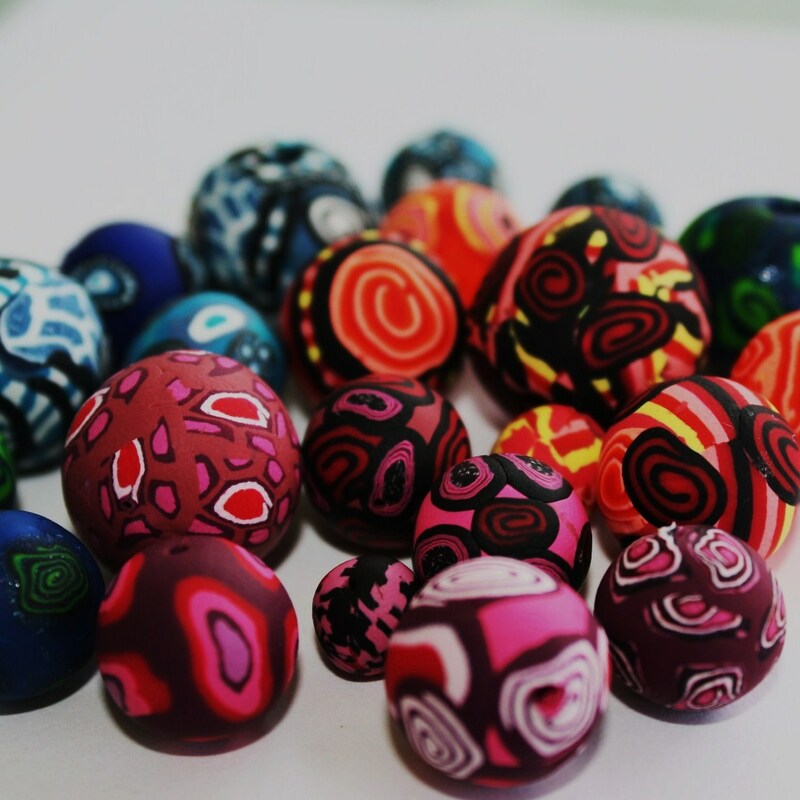 Each batch is baked according to manufacturers recommendations and they are then decided upon if they will remain a non-gloss texture or require a hand-glossed and polished finish. 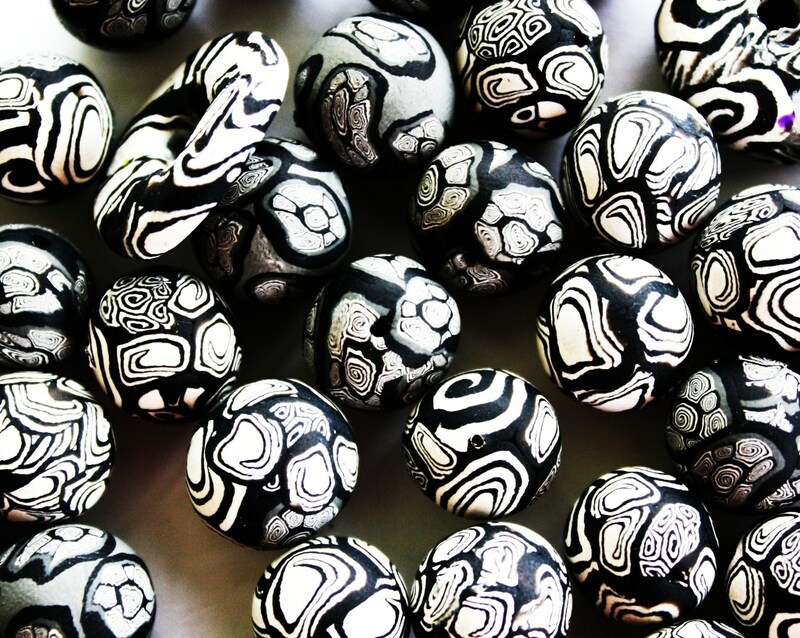 At first glance many think these beads are painted. 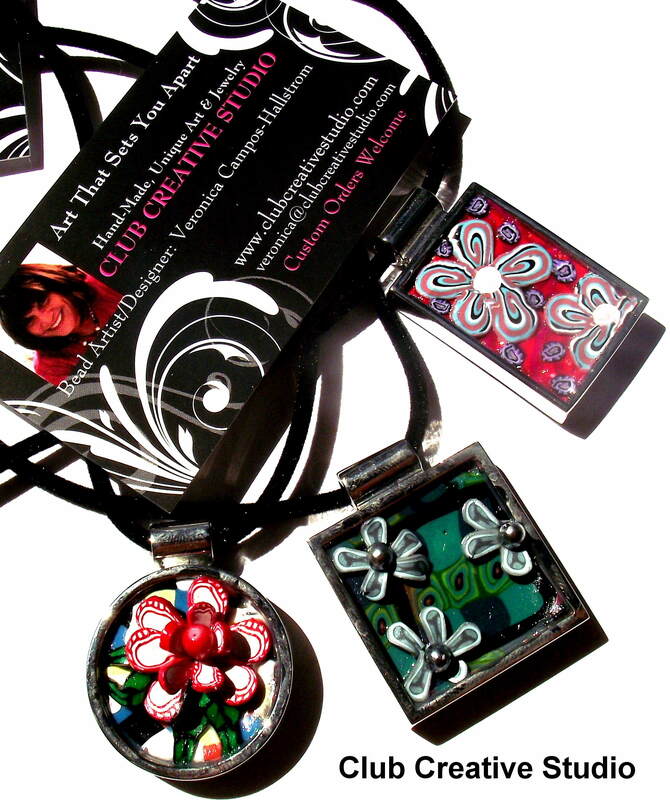 They are not painted, the designs are created by layering clay. 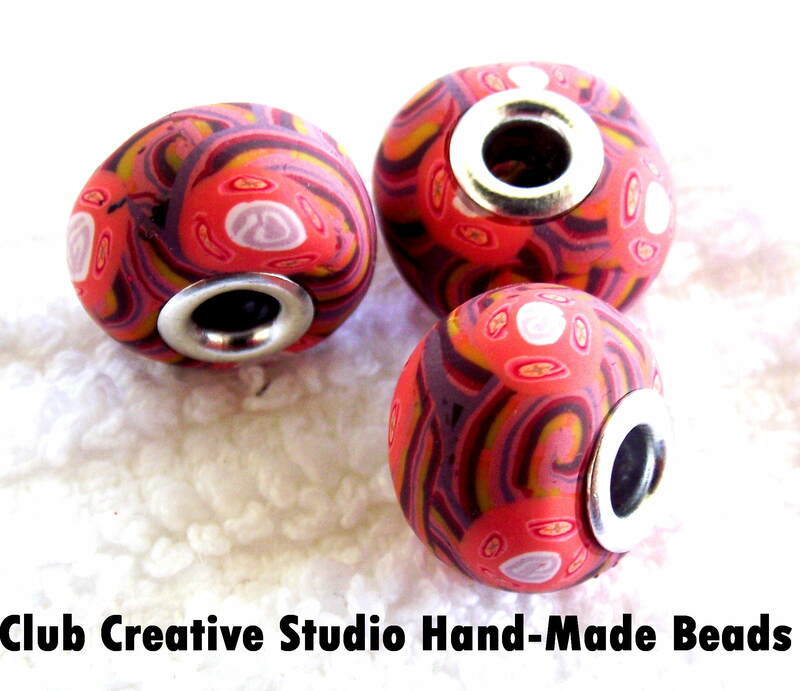 I create beads from my hand-mixed colors that ensure that no one else will have the same color combinations, the colors are all unique and I experiment with matching and creating new tints from an endless supply of inspirational colors from nature, and man-made items like fabric and items that are around me. 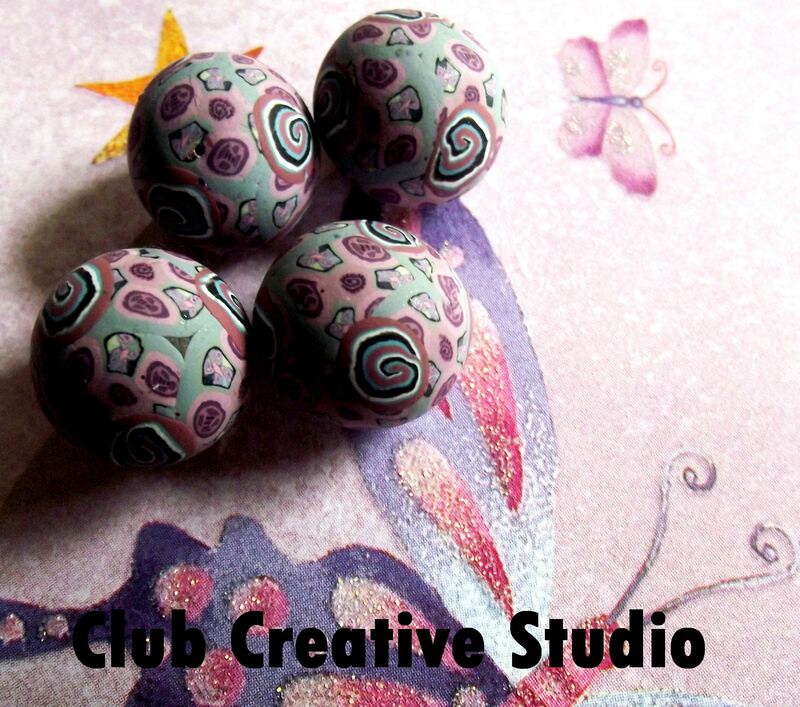 Collection of hand-made clay beads from Club Creative Studio. 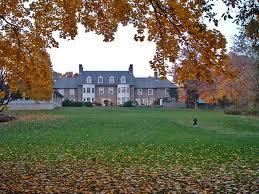 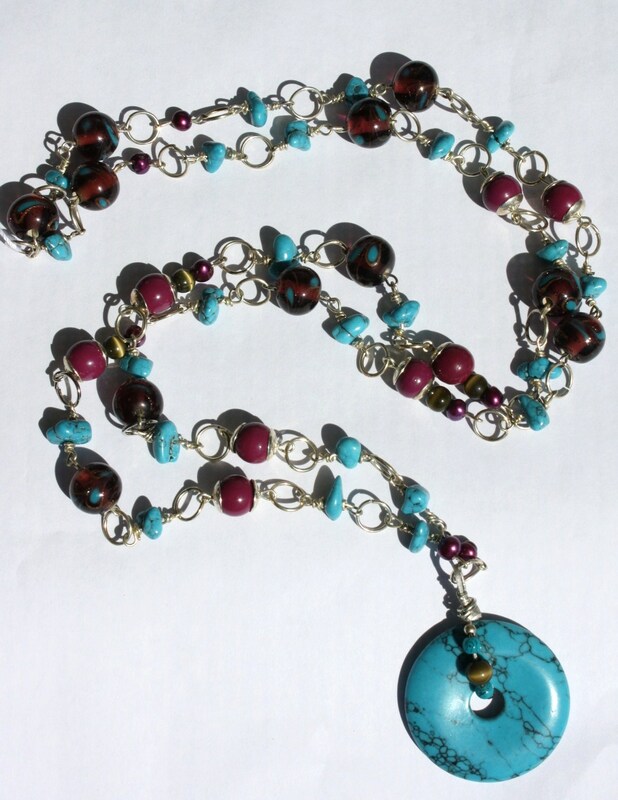 I also just mix colors “by feel” whatever feels right to combine, I add a pinch here and there. 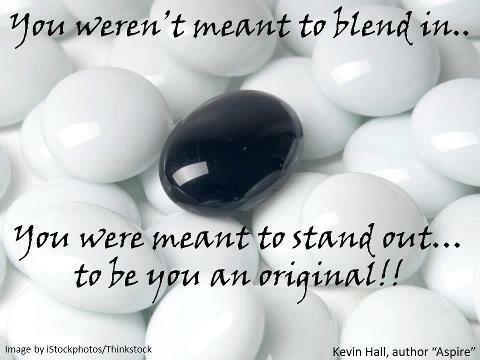 I don’t have formulas or measurements to create my color palates. 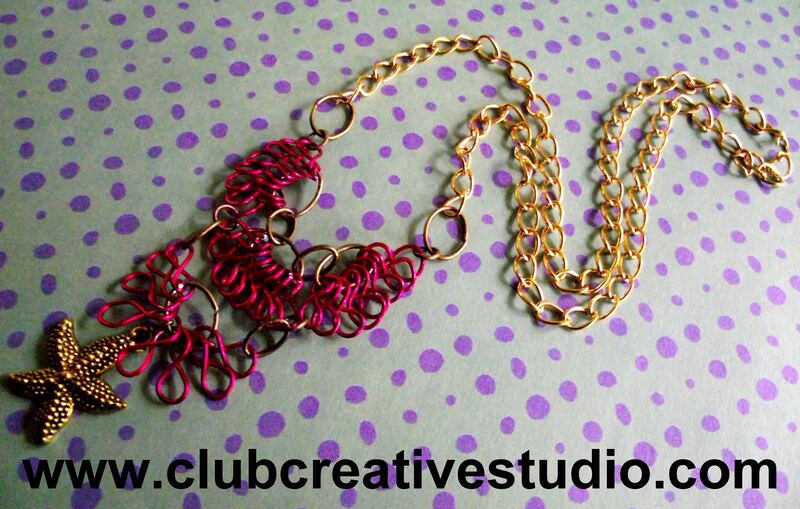 I just “go for it”, and combine colors that feel and look pleasing. 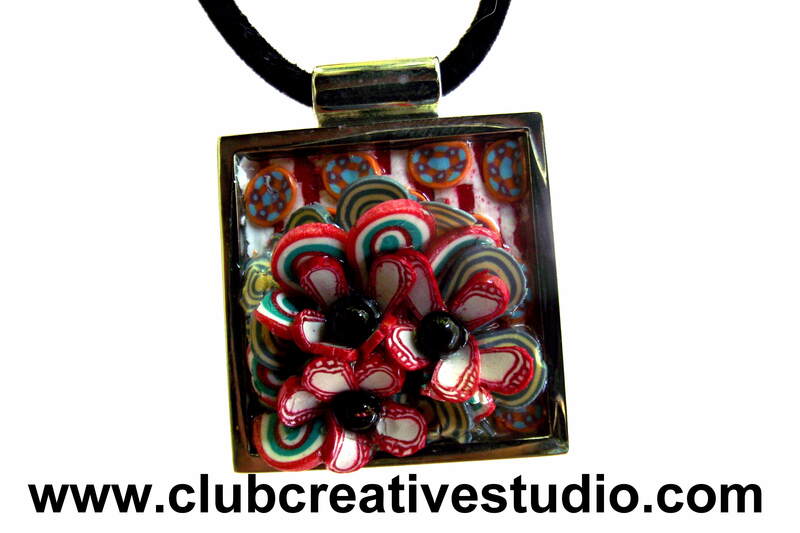 I have unlimited possibilities of design when I work with polymer clay. 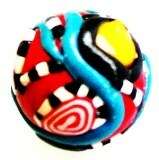 I hope you have enjoyed viewing a few photos of thenumerous batches of finished hand-made beads, I have created. 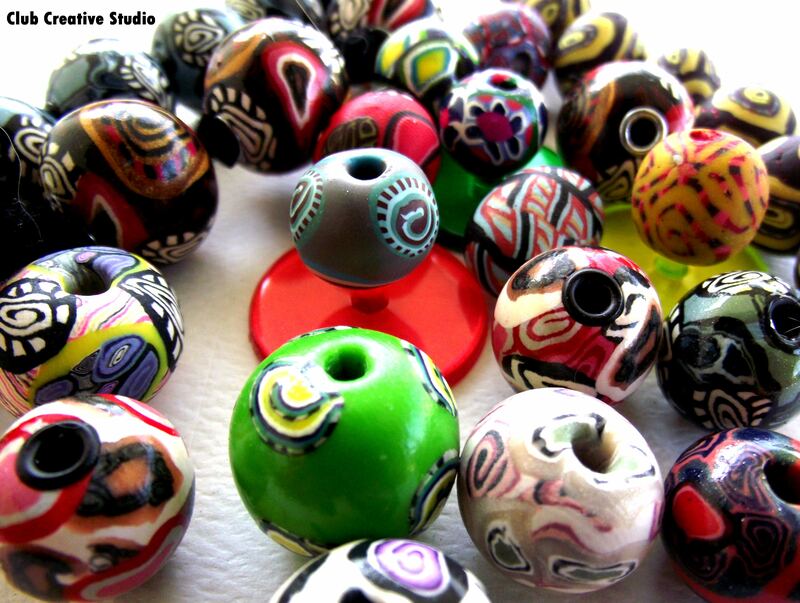 I enjoy taking photos of beads in this stage to show the steps taken from the start of a single bead in a collection used to incorporate into a finished art form. 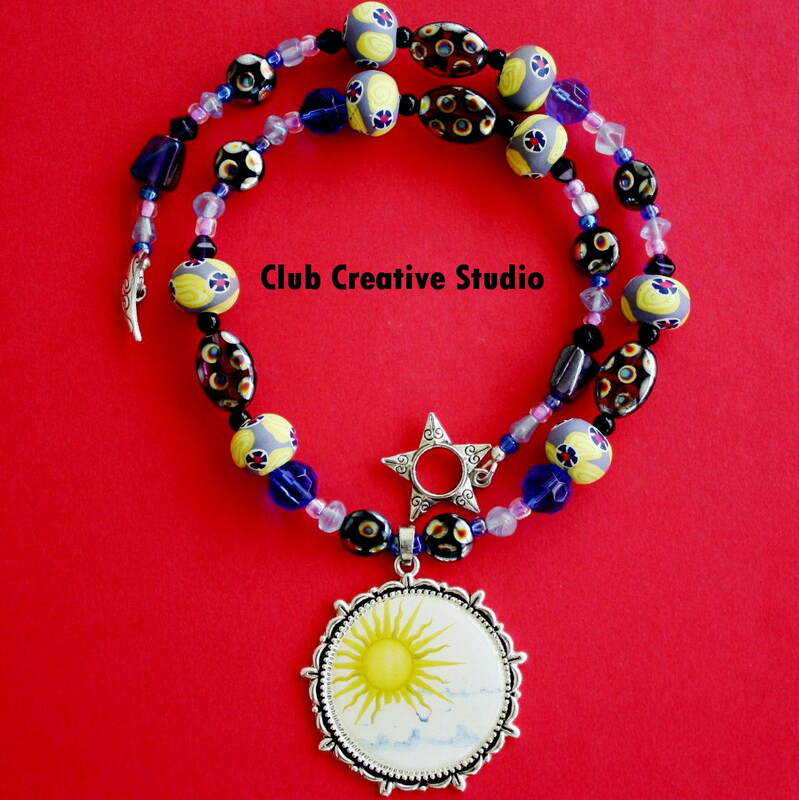 Enjoy the different styles and designs- remembering that all were created in batches that include love…the love of bead-making, the love of variety and the love of creativity in creating beads from clay by hand. 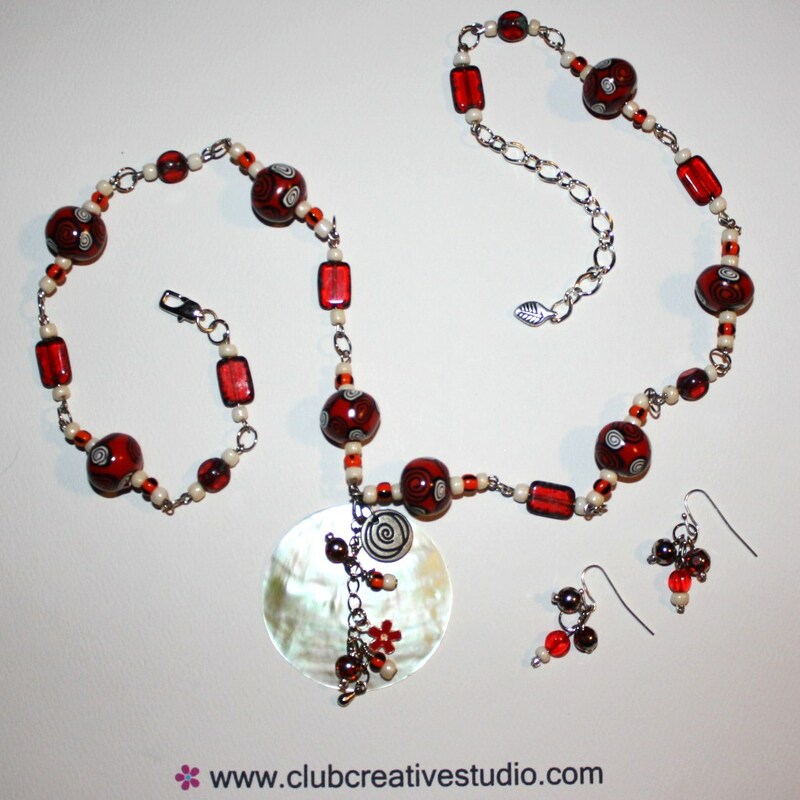 I love to create colors that are reflective of nature, fashion-forward trends, traditional and inspired from custom requests. 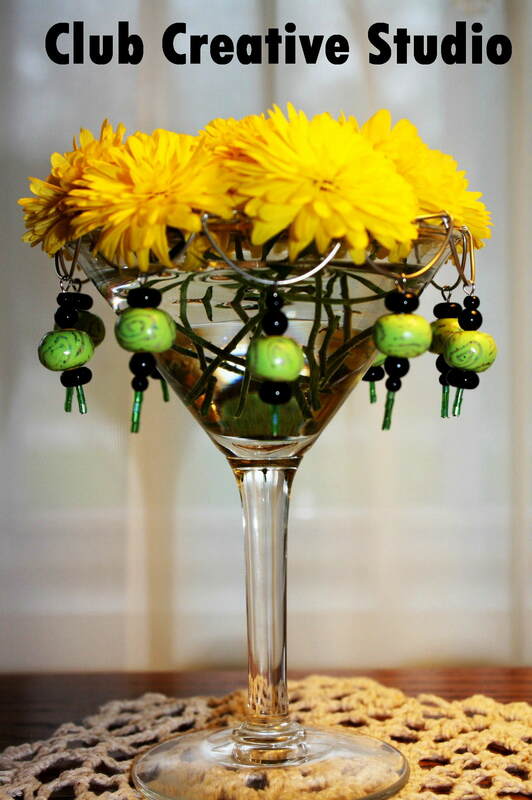 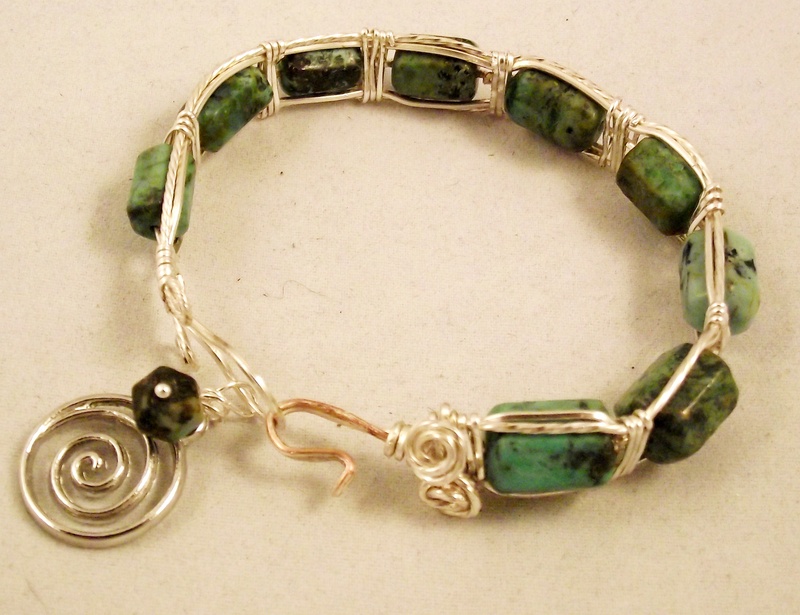 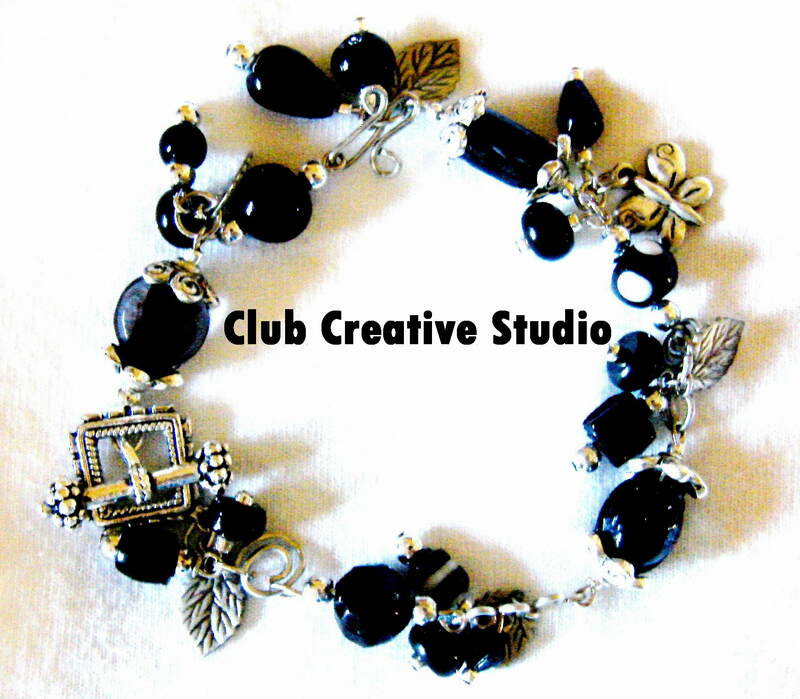 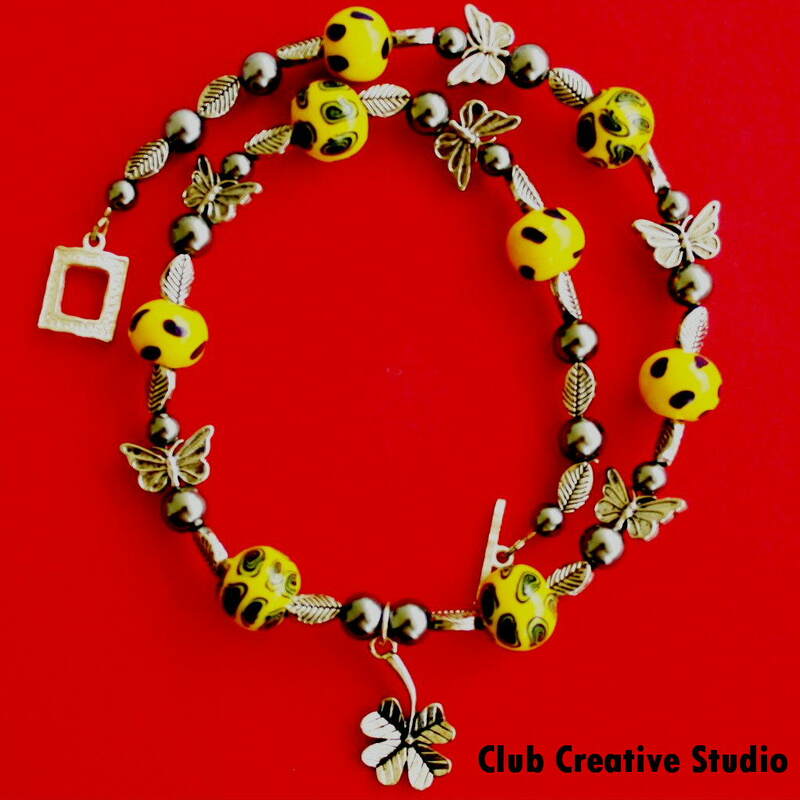 To view other hand-made and unique clay beads incorporated into Club Creative Studio art, visit the website often. 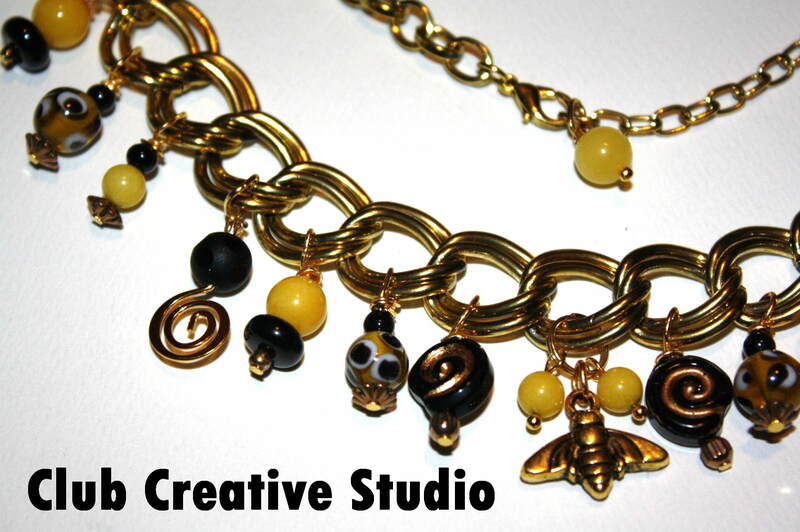 Are you motivated to become creative today? 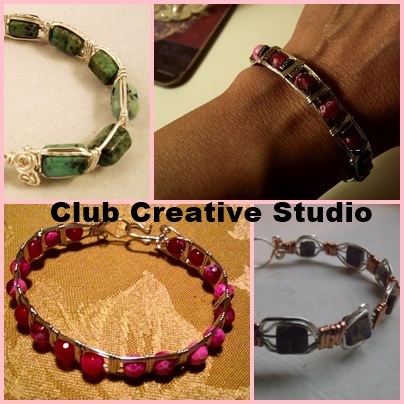 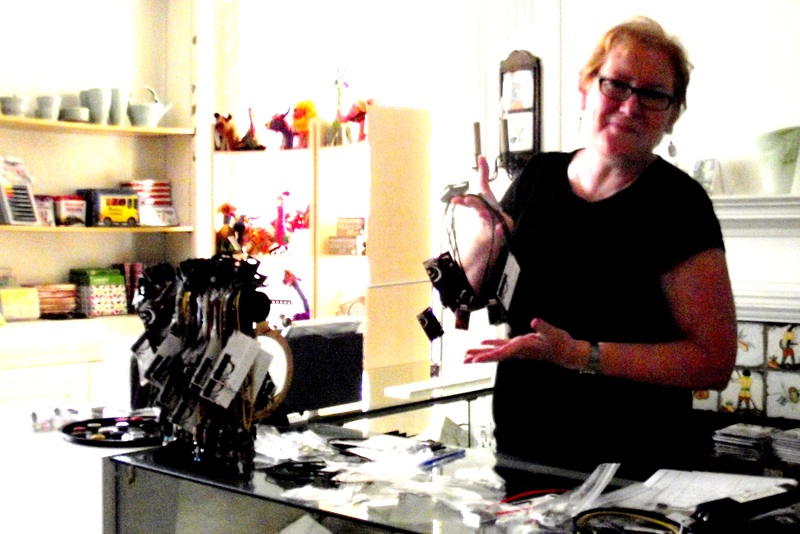 I am all “wired up’ as I experiment in the work place of Club Creative Studio. 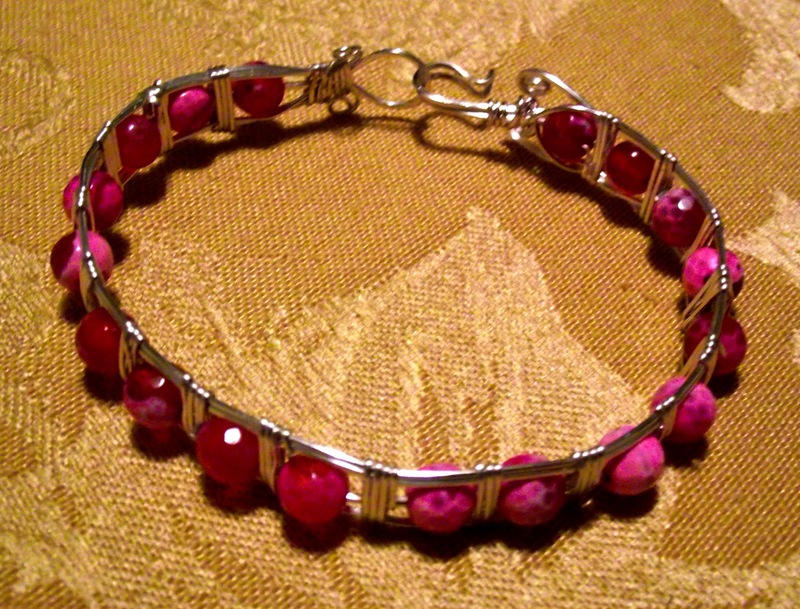 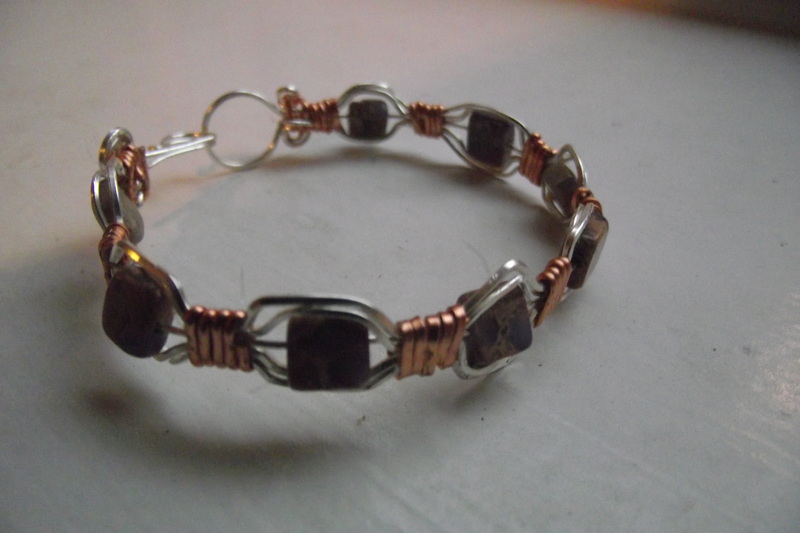 As I try new techniques in wire-wrapping I have run into trials and tribulations. 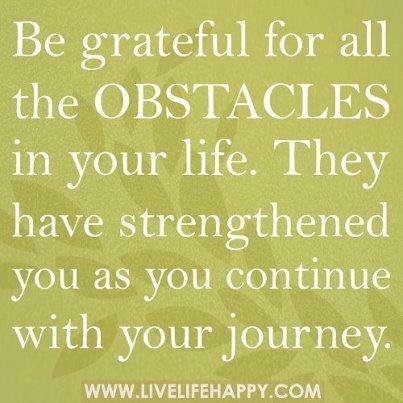 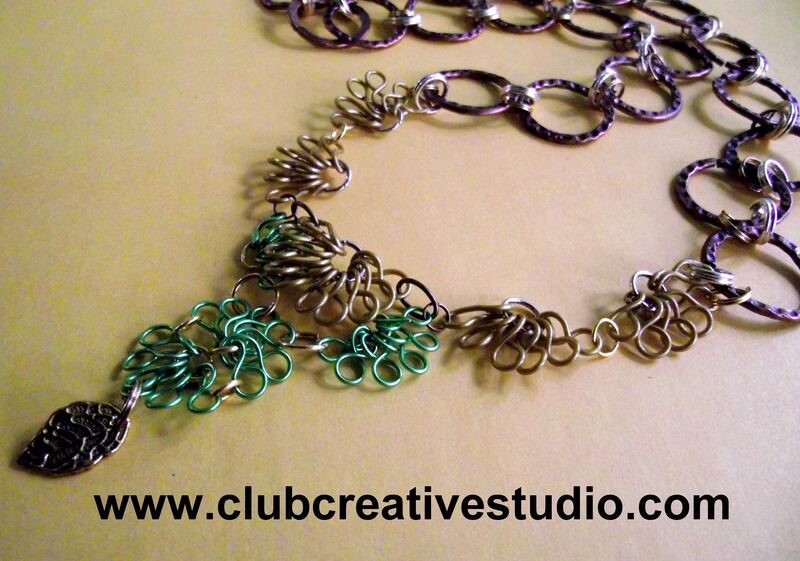 This is what I love about the creative process…the learning process. 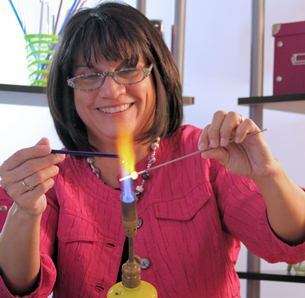 Success in art means to be brave to start from an idea, remain open-minded to continue the project and then hopefully become pleased in the final product. 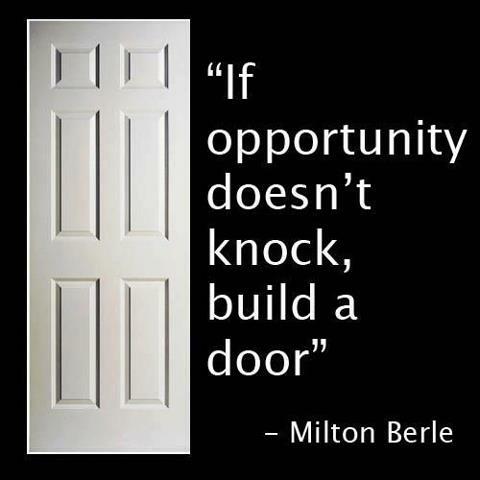 This is what is at the heart of exploring creativity. 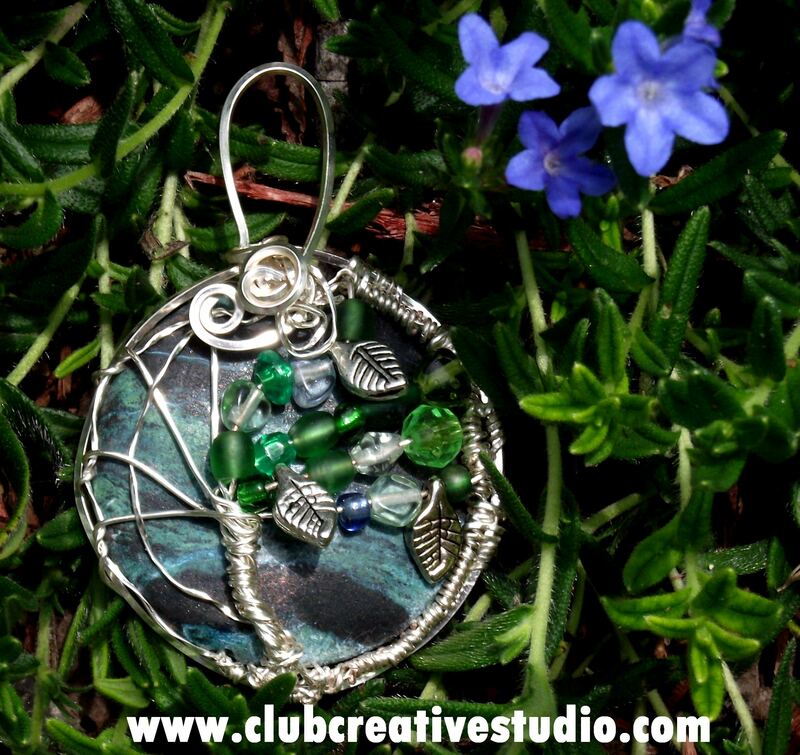 Today in this short post, I share with you the results of the recent stone, wire and crystal art pendants I am experimenting with. 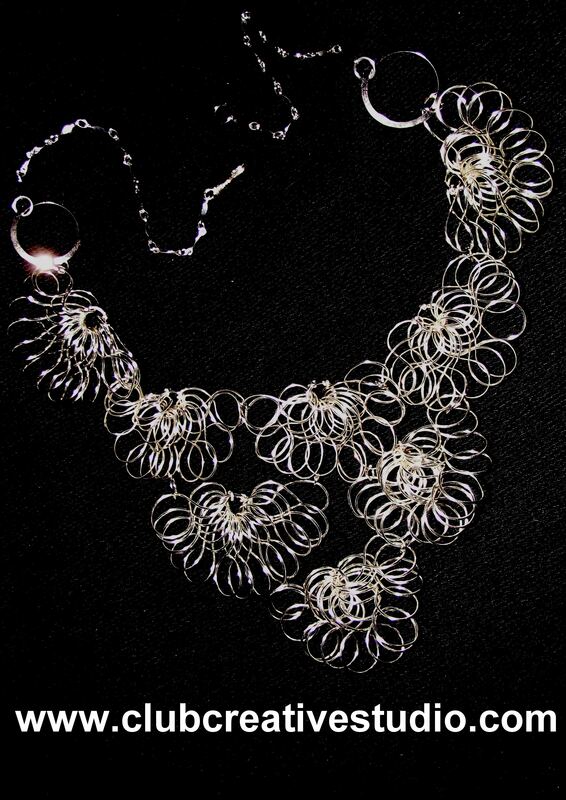 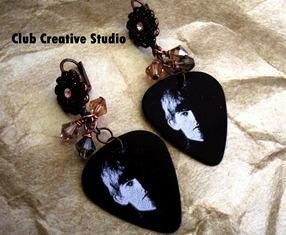 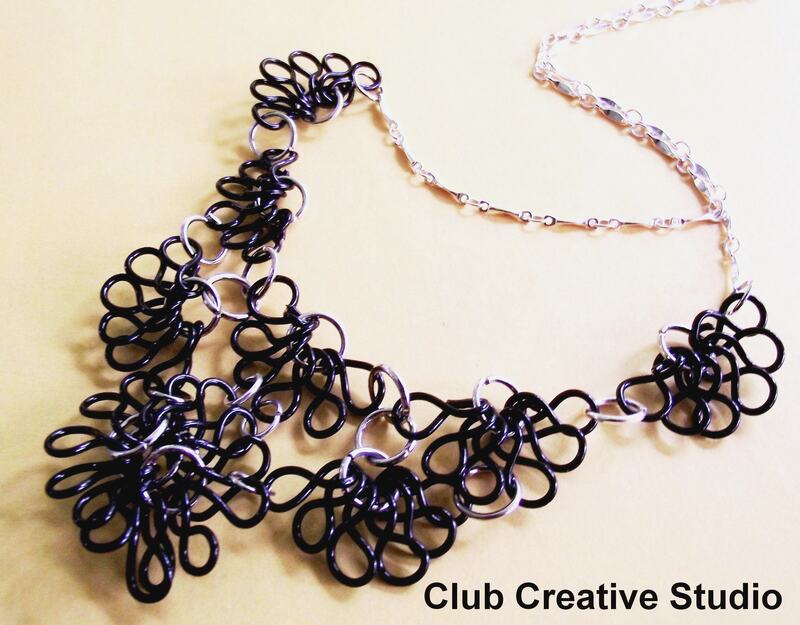 Club Creative Studio hand-made wire and crystal art pendant. 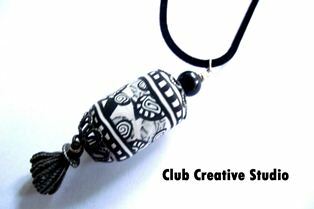 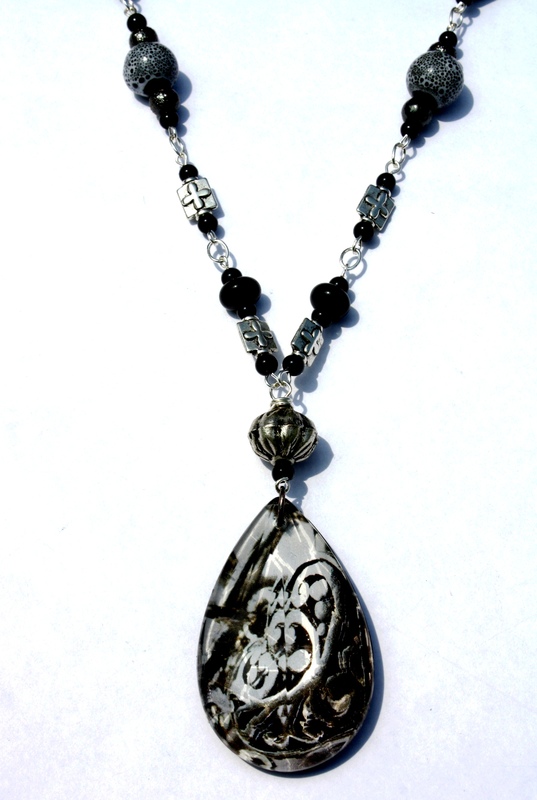 Club Creative Studio hand-made pendant in stone, wire and crystals. 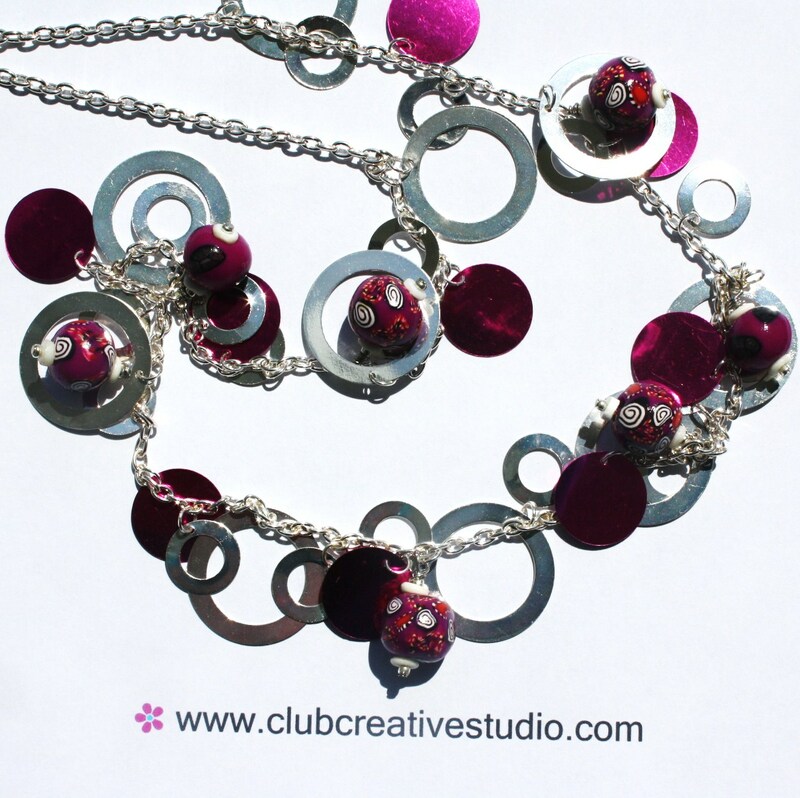 How have you been creative lately?